He feels the need, the need for speed. 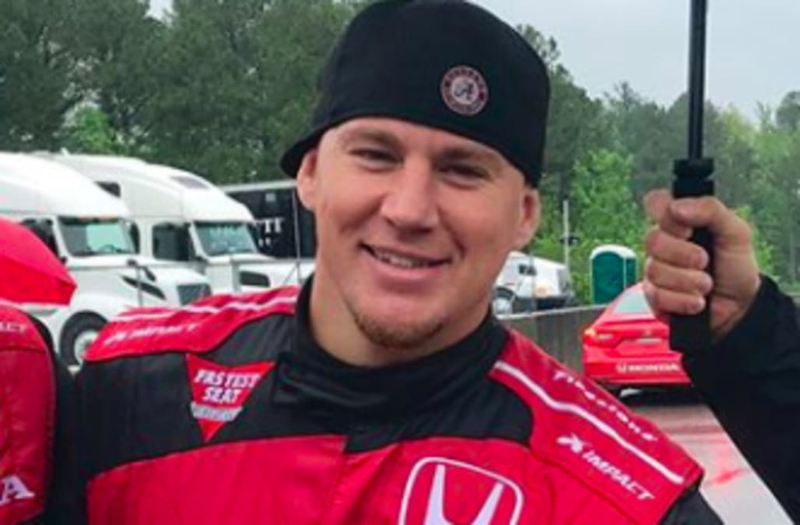 Channing Tatum spent time with Bachelor star Arie Luyendyk Jr. at a racetrack in Alabama on Sunday, April 22, in his first public appearance since splitting with wife Jenna Dewan. The Magic Mike actor, 37, served as grand marshal at the Honda Indy Grand Prix in Birmingham, Alabama, on Sunday and hung out with Luyendyk Jr.
Crazy fast couple laps in the rain!! Thanks @ariejr! And what an incredibly beautiful track Mr. Barber. Can’t wait to come back here and rip some hot laps. Luyendyk Jr.’s fiancée, Lauren Burnham, wasn’t at the event, but the racecar driver made it up to her by posting a surprise video with the 22 Jump Street actor on his Instagram Story. “And we wish you were here, obviously,” her fiancé added. “Yes,” Tatum said as he laughed. Actor Channing Tatum and Jenna Dewan arrive at The Cosmopolitan Grand Opening and New Year's Eve Celebration with Jay-Z and Coldplay at Marquee Nightclub in The Cosmopolitan on December 31, 2010 in Las Vegas, Nevada. As previously reported, Tatum and Dewan announced their separation in a joint statement on Instagram on April 2. The couple, who met on the set of Step Up in 2006, were married for nine years and share daughter Everly 4. Since then Dewan has dropped “Tatum” from her social media accounts and the pair have both been seen out without their wedding rings.